August 11th in Wordpress Plugins by Wordpress Jedi . Configurable Hotlink Protection: blocks links to videos, images, audio files from a third party server. 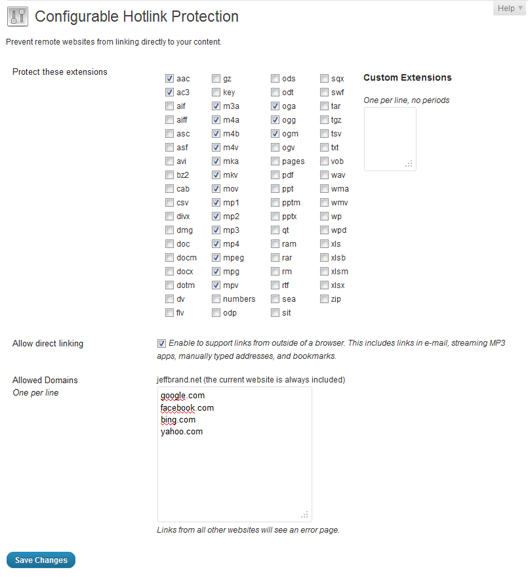 You do have the option to white-list certain sites. 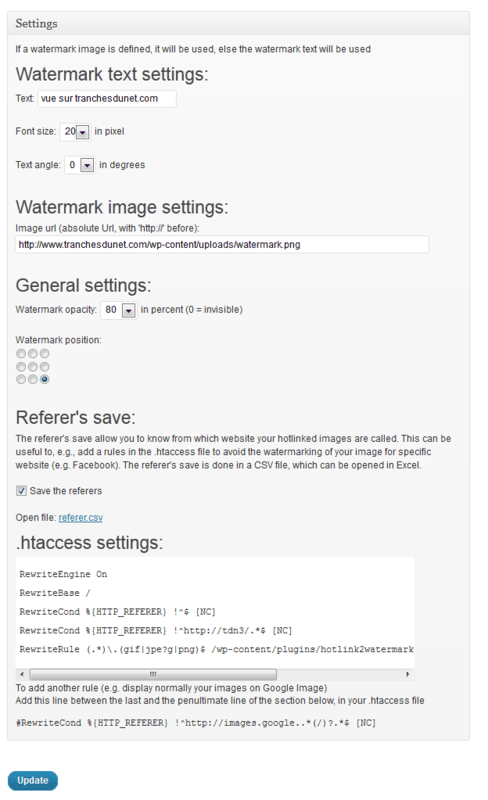 Hotlink2Watermark: this is a sneaky plugin that shows a watermark within each stolen image. You can use each stolen image as an ad for your site. 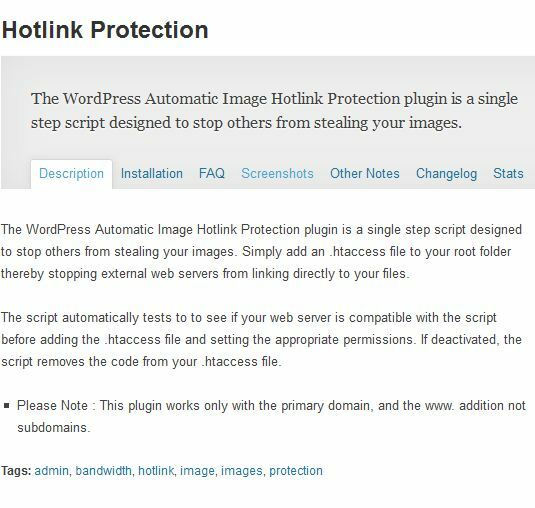 Hotlink Protection: a simple script that keeps others from stealing your images. It relies on your .htaccess file to keep third party servers from linking to your images. Hotlinking is a terrible practice. But not everyone who does it understands why this practice is wrong. Thanks to the above plugins, you can prevent people from stealing your images and teach them a lesson in the process .